Was visiting family and on the way back decided to hit the One Nation Brewery in Williamston, MI as I had never tried their M43 IPA (delicious by the way). Passed through St. Louis, MI on the way there. 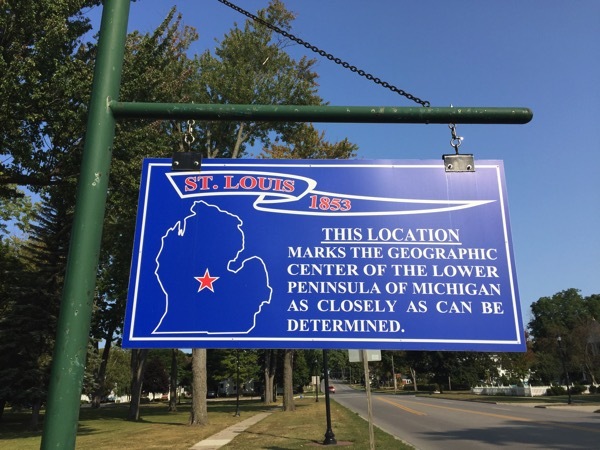 Geographic center of Michigan.